One of Liberia’s main opposition parties has called for a halt in announcing the result of Tuesday’s presidential election, citing irregularities in the vote. The Liberty Party’s candidate Charles Brumskine was considered one of the front-runners to take over from Nobel Peace Prize winner Ellen Johnson Sirleaf, but local media reports put former football star George Weah and Vice President Joseph Boakai in the lead. The National Elections Commission (NEC) was expected to release preliminary results on Thursday. “The Liberty Party is deeply troubled by the discovery of numerous incidents of irregularities and fraud that occurred during the elections,” Liberty Party national chairman Benjamin Sanvee said in a statement. “We are calling on NEC to immediately halt further announcements of election results. If NEC does not cooperate with our request, we will take the appropriate legal action,” he said. He did not give specific evidence of voter fraud, but there have been reports of ballot boxes arriving late in some locations and of people struggling to find their names on voter rolls. The electoral commission has apologised for the delays in some areas. It said it had quarantined materials from one precinct and would investigate reports of alleged compromised voting. More than 2.1 million voters had registered to vote throughout Liberia, Africa’s oldest republic, founded by freed US slaves in the 19th century. The West African regional bloc ECOWAS said the vote went largely smoothly. 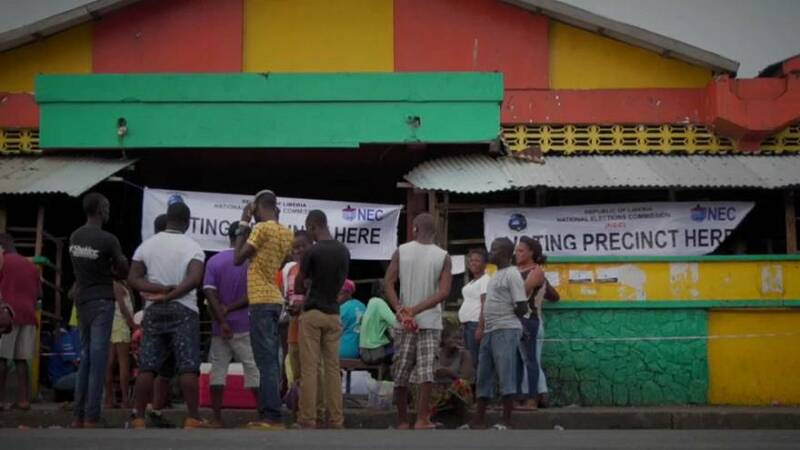 “The mission believes thus far, up to this point, that with the environment and the lead up to the election, the voting day activities, sorting and counting of the ballots, Liberia is largely on track to achieve a credible poll,” said John Mahama, Ghana’s former president and the head of the ECOWAS observer mission. Liberia has been haunted by years of civil war and its last democratic power transfer dates back to 1943. Johnson Sirleaf became Africa’s first elected female president in 2005 following a post-war transition. She was re-elected in 2011 and led Liberia’s recovery from the deadly 2014-15 Ebola epidemic, but is barred from seeking a third term. Some 20 candidates were vying to replace her and a runoff election was widely expected.